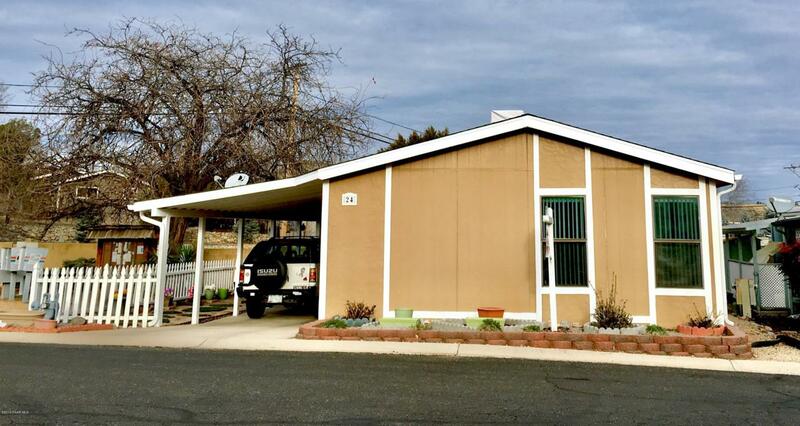 Charming, very affordable home in central Prescott! Well maintained home with roof shingles replaced aprox 2 years age, gutters aprox 3 years, furnace replaced aprox 5 yrs, water heater aprox 6 yrs - per seller. Very nice floor tiles in kitchen and bathrooms. Super convenient location close to shopping, hospital, Embry Riddle University, Yavapai and Prescott College. BONUS: You own your own lot in this subdivision! Listing provided courtesy of Trisi Andresen of Red Arrow Real Estate.